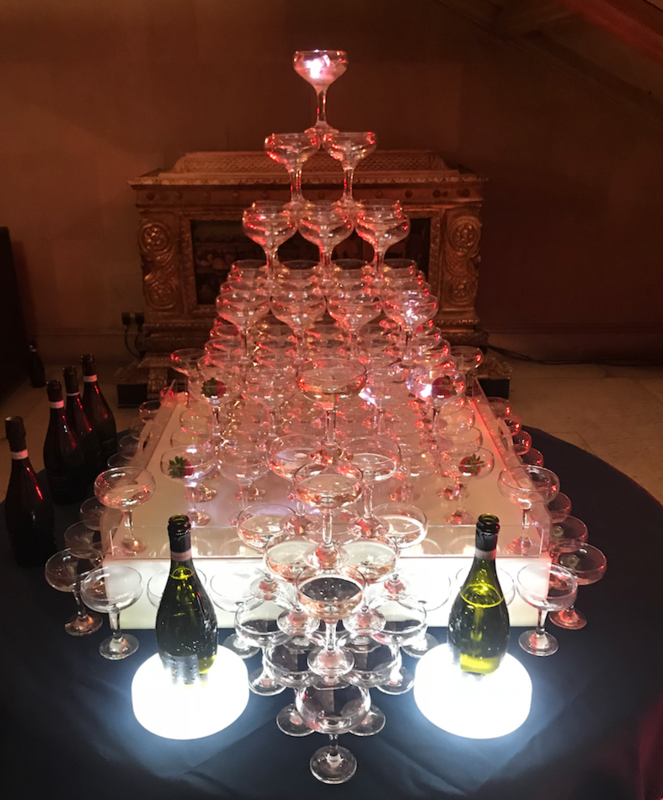 Connections Entertainment Champagne Towers are a wonderful way to give your adult guests a different treat from the usual as well as giving your ceremony, event or entrance a dazzling and impressive sight. Our Champagne, Cava or Prosecco Towers are one of the most luxurious and divine ways to enjoy champagne. The presence and display of glass looks simply amazing at any event. 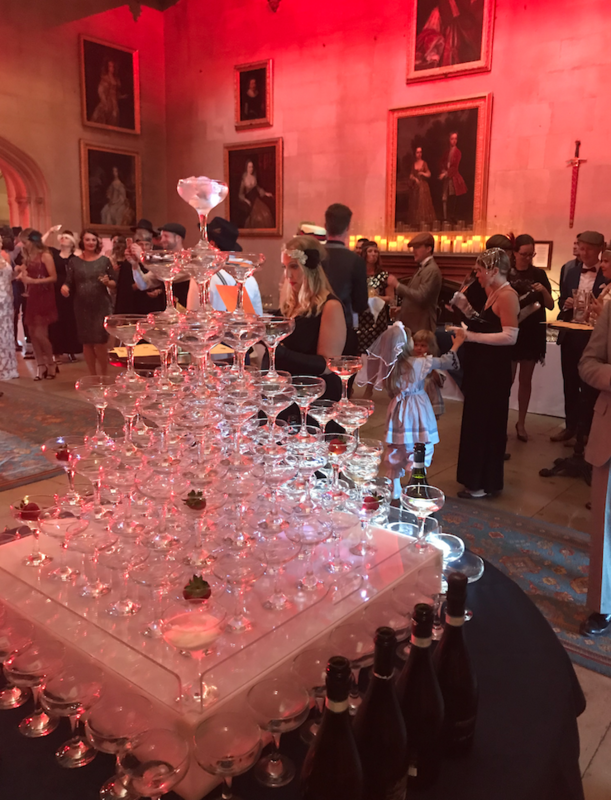 Champagne tower hire is becoming increasingly popular with our customers in east anglia. It also takes away the pressure of having to hire people to pour out drinks and then give them out to arriving guests. 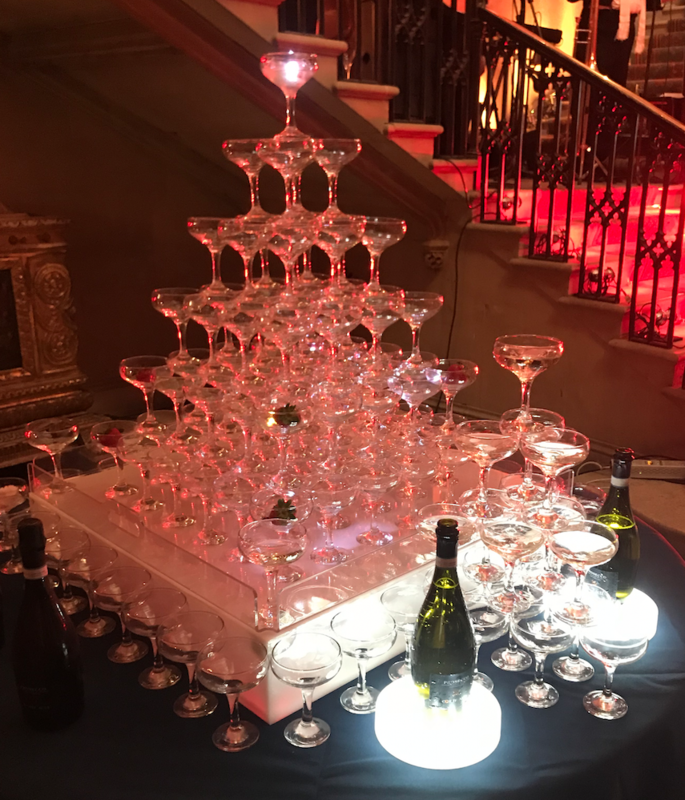 Our traditional style champagne saucers (also known as coupes) enable us to create a 6 tier champagne tower on a LED light up base and drip tray. It doesn't always have to be champagne. Other options could be Prosecco Fountain, Cava Fountain or Cremant French Wine Fountain, the choice is yours. We can advise you on the number of bottles that you require for the tower. (WE DO NOT SUPPLY THE ALCOHOL WITH THIS SERVICE) A STAFFED 6 TIER TOWER COSTS £395. The 56 glasses have a height of 794mm and width of 600mm. Our staff will set up 56 or more glasses with LED or mirror base and spillage tray. This can be dressed with edible flowers, strawberries or chocolates and makes a unique and distinctive feature at weddings or any event. The little added touches can make all the difference to a summer wedding as strawberries and champagne are the perfect combination. Each tier represents the height of sophistication for any party, ideal for creating an inevitable Champagne effect, perfect as a centerpiece. This impressive Champagne Tower brings an aura of festivity to any celebration you throw. Delivery charges apply outside Norfolk and prices do not include VAT. As a guide, £125 is charged per additional tier added (arranged when booking). Classic champagne coupe glass is designed to be arranged in a tower formation and is perfect for serving classic cocktails or champagne and sparkling wine. It is also ideal for weddings, celebrations, events or parties, designed to allow Champagne to flow down. As a matter of fact, it adds a magnificent and dignified elegant centrepiece to any table. BOOK NOW and let the bubbles flow, with a Connections Entertainment Champagne Tower! Connections Entertainment do not supply the liquid or alcohol used. The general rule of thumb is that you should have one case (12 bottles) per 50 people, which allows for 1-2 glasses per person.